Does Mazda concept for Tokyo point to RX sports car's return? 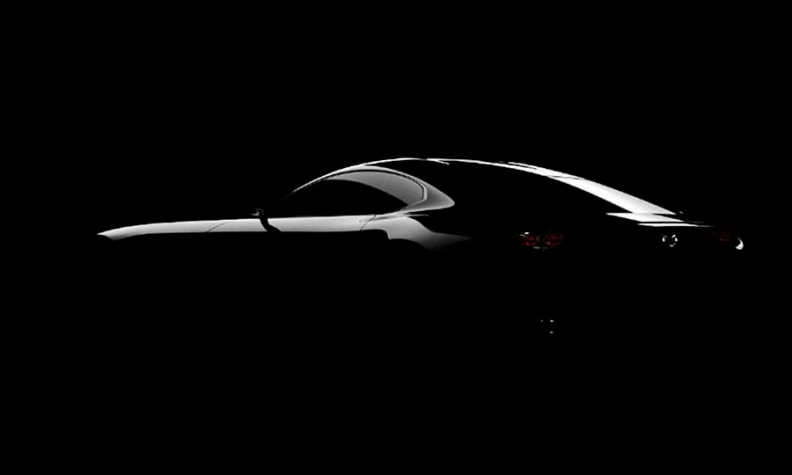 Mazda's teaser photo shows a vehicle with a long hood, rounded fastback and muscular rear fenders. TOKYO -- Mazda plans to unveil a sports car concept at the Tokyo Motor Show that is sure to stoke speculation about a possible successor to the RX-8. A teaser photo shows a black vehicle with a long hood, rear-slung cockpit, rounded fastback and muscular rear fenders -- all taking cues from the brand's Kodo design language. Mazda, which retired the RX-8 in 2012, describes the design as modern with a "sense of lineage and authenticity, appearing almost to condense Mazda's entire history of sports car development into a single model." Mazda gave no name for the concept and offered no details about the car's drivetrain. Executives have sent mixed signals on the fate of the brand's sports car line and its famed rotary engine, which was taken out of circulation along with the last RX-8. CEO Masamichi Kogai has said that engineers continue to work on rotary engine technology. And design chief Ikuo Maeda has said he wants to revive the RX series, which includes the RX-7, a precursor to the RX-8. He said a Mazda sports car couldn't be called an RX without having a rotary, because the R in RX stands for rotary. Press days for the Tokyo Motor Show are Oct. 28-29.